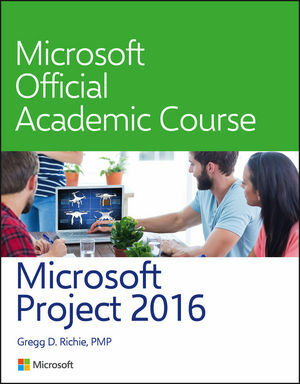 The Microsoft Official Academic Course (MOAC) textbook for Project 2016 is designed to help develop and reinforce common workforce skills within today's competitive job markets. With this textbook students learn to establish and navigate through project resources like establishing and adjusting resource pay rates and working times. Task assignments include assigning work resources and assignments to tasks; allowing certain actions to tag and change Project's scheduling behaviors. Scheduling refinements and formatting allows students to understand the different task types and the effects of the work formulas. Students will be able to understand how to utilize the task information dialog box to change a task type. This edition also covers project reporting, integrating Microsoft Project with other programs, and managing multiple projects at once. Skills mastery of Project 2016 can help students with casework and differentiate job hunters in today's competitive job market. Wiley is Microsoft’s official worldwide publisher for all Microsoft Official Academic Course (MOAC) materials. Our partnership means that your students are the first to get the most reliable, direct, and focused materials.